Whilst it is possible to harvest the silk from a living spider, it’s a difficult and fiddly process which involves sedating the spider before collecting the silk. It’s also a pretty big challenge to try and farm spiders in order to collect the silk, as being cannibalistic in nature, the spiders will simply eat each other if kept together. If you’ve ever examined an intricately crafted spider web in close detail then you’ll also appreciate that this silk is also incredibly delicate – in fact to produce only one square yard of cloth, the silk from over 400 spiders would be required. “The strength of the fiber is significantly better than any man-made, silk-based material to our knowledge, and on the same level as what can be found in nature from spiders,” says Daniel Söderberg, a researcher with the Wallenberg Wood Science Center at KTH. In light of these challenges, a team from Sweden have taken on the task of creating a form of synthetic spider silk instead, which possesses similar qualities. If an environmentally friendly way of producing the silk could be found then it offers a serious potential replacement for man-made materials such as Kevlar. Known for its use in bullet-proof vests, the production of Kevlar includes processing using petrochemicals which are damaging to our environment. As well as providing a potential material for the next generation of bullet-proof clothing, synthetic spider silk could also be used to provide a wide range of other items including ropes, seat-belts and biodegradable bottles. Interestingly, perhaps we could even draw inspiration from the past and create a new type of surgical thread made from this synthetic silk? It has also been suggested that it could be used to create artificial tendons and ligaments as well as perhaps creating supports for blood vessels which have become weakened. The challenge for the researchers at the KTH Royal Institute of Technology in Sweden was finding an environmentally friendly way to recreate the properties of this delicate material. To create their synthetic silk they were, of course, inspired by the natural material produced by spiders. 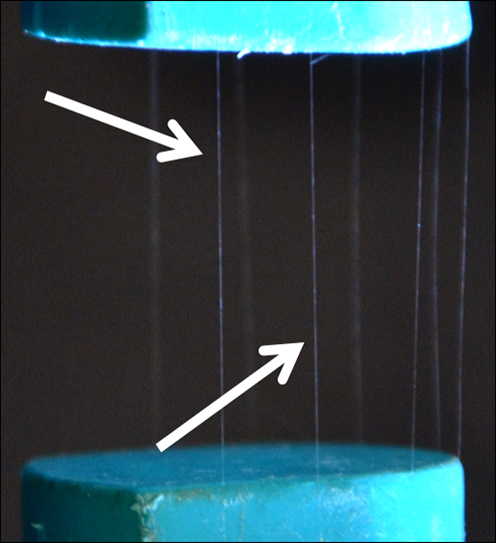 They decided to combine small amounts of the protein found in spider silk with another naturally occurring material: wood-based nanocellulose. By combining these two materials they hoped to produce a biofunctional material to rival the natural spider silk. First, their silk protein was created by isolating the gene in the spider’s DNA which is responsible for silk production. After this had been achieved, they transferred this gene to bacteria, which can easily and quickly replicate in lab conditions. The result is silk proteins which can be purified in the lab, ready for the next stage. 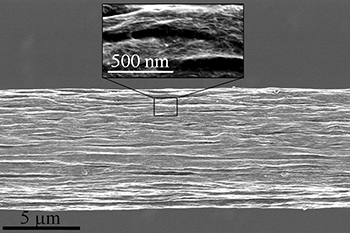 Next, the cellulose nanofibrils are obtained from trees. As well as possessing remarkable mechanical strength, these fibers are non-toxic and biodegradable. The synthetic spider silk is then created by combining these two products to produce a composite. In order to ensure maximum performance, the cellulose nanofibers need to be correctly aligned. This is achieved using hydrodynamics. 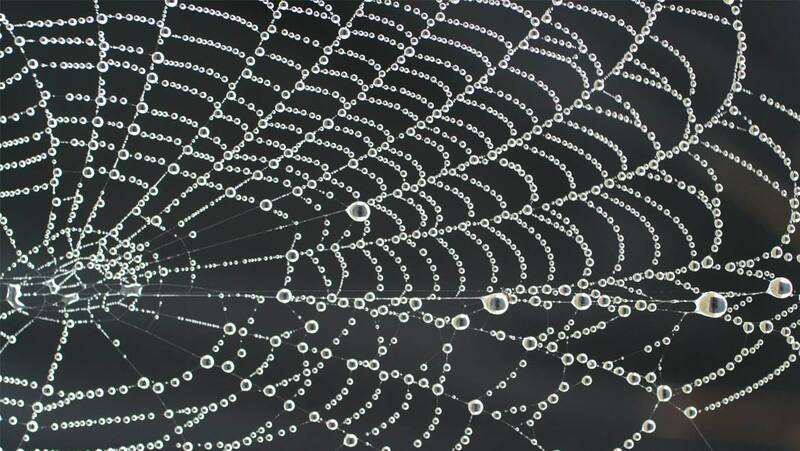 So whilst our ancestors may have used natural spider silk for their fishing nets and surgical thread, it looks as though in the future we may well be using this amazing synthetic silk for an environmentally, and spider friendly, alternative for a whole host of applications.